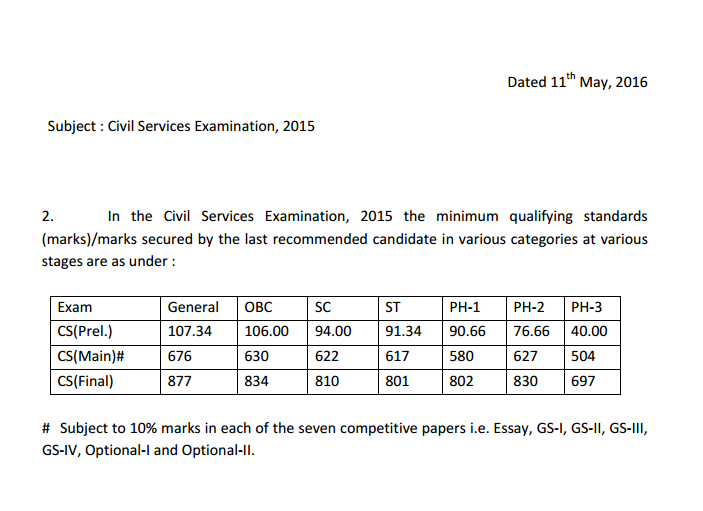 As you all know Yesterday UPSC has declared CSE Final results and today UPSC has declared cutoff marks. Click below link to download Cutoff marks declared by UPSC. Click Here to Download UPSC 2015 Cutoff marks.